Editor’s Note: One of the best parts of running this blog has been finding new blogs. One of my favorite is Ben Railton’s “American Studier: A central online resource for students of American culture.” Ben has agreed to have us repost one of his posts, which was part of a series in honor of April Fool’s Day. Check out his posts on Seward’s Folly, Albion Tourgee, Nobody’s Fool, and satire. On one of American literature’s most unique and interesting, and, yes, foolish, works. 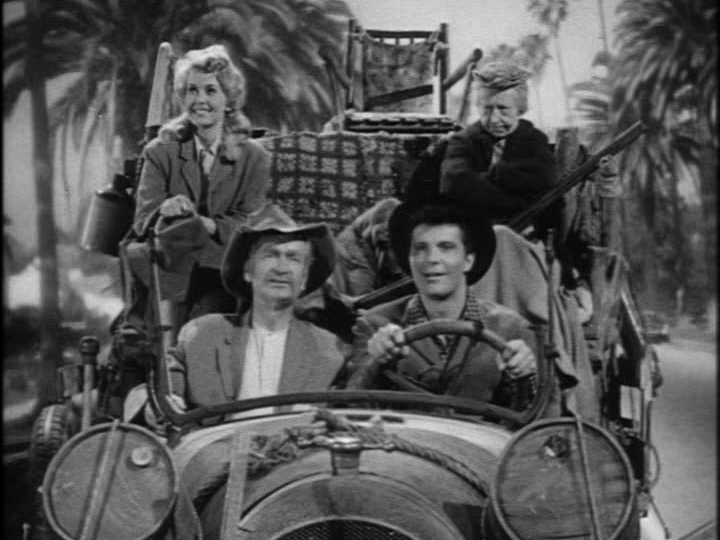 I don’t think too many 21st century Americans read or even know about the mid-19th century movement known as Southwestern Humor, and that’s too bad. Besides representing some genuinely American folktales and mythologies—I vaguely remember reading stories about Mike Fink in childhood anthologies featuring Paul Bunyan, John Henry, Pecos Bill and the like, but I wonder if any of those characters remain on our cultural radar in any meaningful way—the Southwestern humor stories are just plain funny, both in their outlandish events and in their ability to capture story-tellers’ voices and effects. T.B. Thorpe’s “The Big Bear of Arkansas” (1854) is not only a clear predecessor to Mark Twain’s “The Celebrated Jumping Frog of Calaveras County” (1867); it’s also nearly as great an act of literary and local color story-telling and humor. You could do a lot worse, in this April Fool’s week, than spending some time reading Thorpe and his peers. 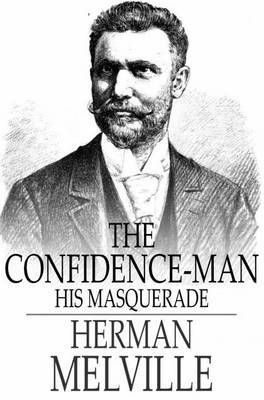 At first glance, Herman Melville’s The Confidence Man: His Masquerade (1857) seems likewise inspired by, or at least parallel to, Thorpe’s story: both works are set on Mississippi River steamboats, and both feature multiple acts of story-telling, comprising communal conversations that are constituted out of such competing stories. Melville even ups the humor ante on two interconnected levels: he published his novel on April 1, and set it on the same day, which had for at least a few years been known as April Fool’s Day. Yet as anyone who has read Melville knows, the author’s sense of humor tended more to the dark and cynical than to the light and folktale-like; he expressed this perspective on humor very clearly in an 1851 letter to his friend Samuel Savage, writing that “It is—or seems to be—a wise sort of thing, to realize that all that happens to a man in this life is only by way of joke, especially his misfortunes, if he have them. And it is also worth bearing in mind, that the joke is passed round pretty liberally and impartially, so that not very many are entitled to fancy that they in particular are getting the worst of it.” And in The Confidence Man, the joke that gets passed round is both dark and, like much of Melville’s work, extremely prescient of ongoing American and philosophical concerns. Now that we have retired from our teaching positions at Arizona State University, we have more time to eat out and what we have discovered is that restaurants are using humor and wit to spice up their patrons’ eating and drinking experiences. We were recently invited to speak about humor and aging at a big retirement community built in the desert east of Mesa, Arizona. 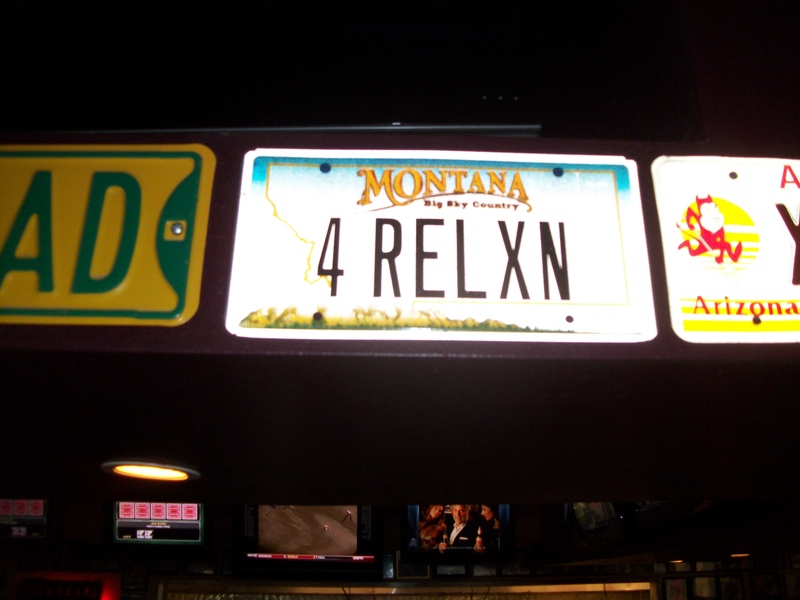 When we got close, we stopped to eat at a restaurant and were amused to see that the bar area was totally covered with humorous license plates apparently donated by the retirees (“the Snowbirds”), who come from colder climates to spend warm winters in Arizona. 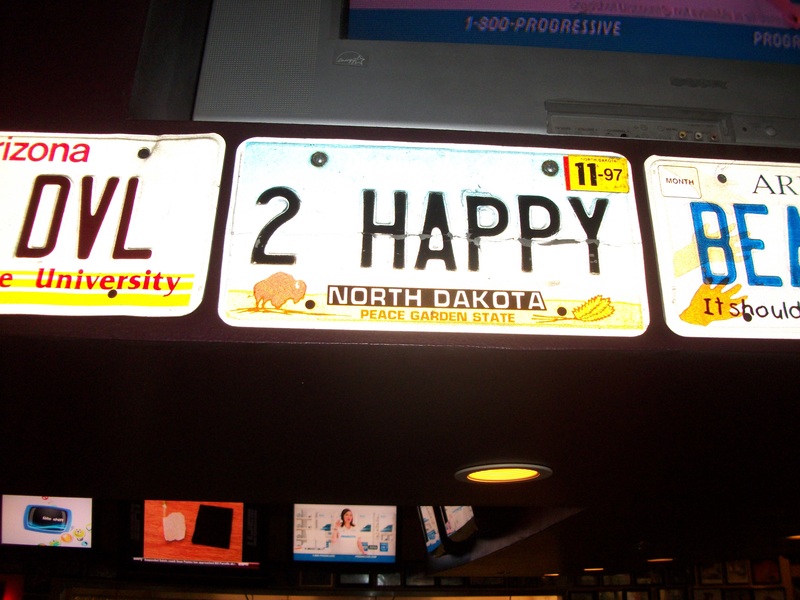 The license plates were amusing to first-timers, like us, and comforting to repeat customers who were proud to see us taking pictures of a license plate that they identified with, either because they had donated it or because it came from their home state. 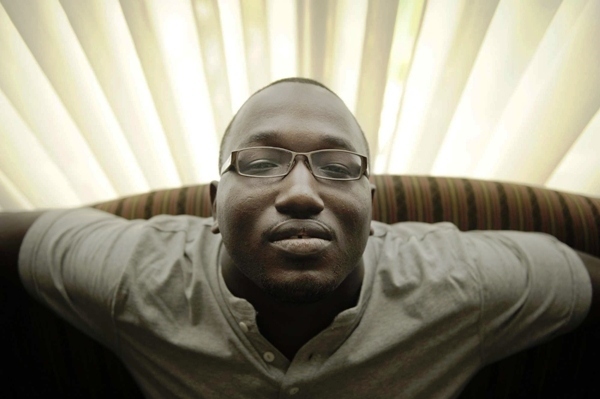 Fresh off his win at the 2012 Comedy Awards for Best Club Comic, Hannibal Buress is a name not immediately recognizable to those who don’t follow comedy for a living. Yet he is far from a fresh new face. In addition to becoming one of the biggest stand-up draws in the country, he has also worked as a staff writer for both Saturday Night Live and 30 Rock. Not a bad resume for someone who is only 29. One of the major challenges for stand-up comedians is to strike an appropriate balance between the timely and timeless. Material should be fresh and create highlight a new perspective, yet must still relate to the audience. There can be a risk in losing the audience if a comic tries to offer premises that only appeal to a few people. At the same time, it can be difficult to talk about the same topics that have occupied the world of stand-up for decades. Buress’s strength as a comic relies on his ability to negotiate both. He provides a great example of how so much of comedy is in the delivery. This is not to say that his writing skills take a back seat. His recent one hour special Animal Furnace, premiering tonight on Comedy Central, and his debut album My Name is Hannibal demonstrates Buress’s skill in offering uniquely fresh takes on such familiar stand up topics as the airport, bars, and girlfriends. I’d invite readers to check out as much of his material as possible. 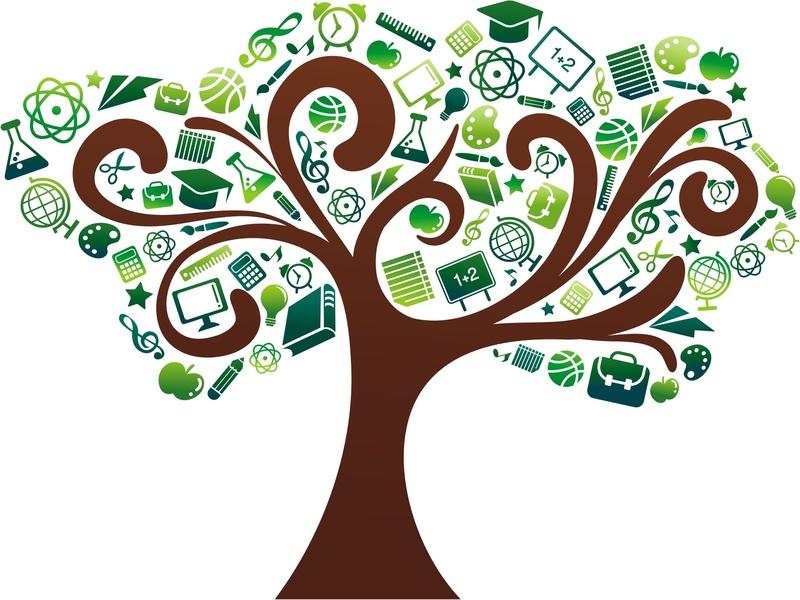 Our youngest daughter will graduate from high school this weekend. 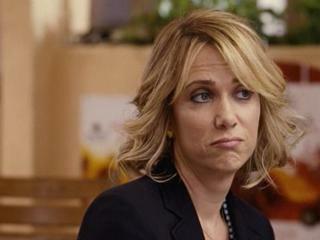 I’m curious to find out what words of wisdom the commencement speaker will impart to the class of 2012. In that spirit of good advice, I bring you this splendid poem by Taylor Mali. Hannibal, Mo. – The Mark Twain Boyhood Home & Museum celebrated its centennial May 15 in part by announcing the establishment of the Mark Twain Lifetime Achievement Award to recognize someone whose life’s work has furthered the legacy of Mark Twain in a significant way. 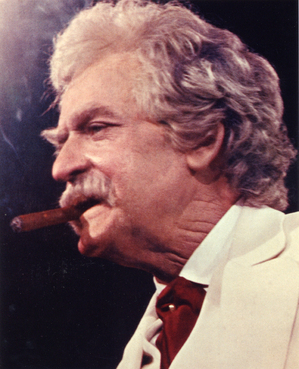 Hal Holbrook was selected as the first recipient of the award. The Museum will present the award to Holbrook this fall when he returns to Hannibal. Holbrook will appear in “Mark Twain Tonight!” at 8 p.m. Nov. 17 at Hannibal High School. “After 100 years of preserving Twain’s legacy by caring for his boyhood home and related properties, we felt it was an appropriate time to establish this award and recognize others who also preserve Twain’s legacy, but in different ways,” museum executive director Cindy Lovell said. The performance is sponsored by the museum. Tickets will go on sale June 1 to museum associate members and June 15 to the general public. Many kudos to Hal Holbrook. I had the pleasure of meeting Mr. Holbrook at the 6th International Conference on the State of Mark Twain Studies (i.e. Mark Twain Summer Camp) in Elmira, NY. I told the story of our meeting and posted clips of Mr. Holbrook telling stories awhile back. Back in November, we ran a post on Will Ferrell’s winning The Mark Twain Prize for American Humor. We held a vote on who should win the prize next, based on nominations culled from discussion on the Mark Twain Forum, which ended in a three-way tie between Jon Stewart, Woody Allen, and Garrison Keillor. Click below to vote in a run-off, just for fun. The event is created by the Kennedy Center, and executive producers Mark Krantz, Bob Kaminsky, Peter Kaminsky, and Cappy McGarr. The Kennedy Center established The Mark Twain Prize for American Humor in October 1998, and it has been televised annually. Recipients of the Kennedy Center Mark Twain Prize have been Richard Pryor (1998), Jonathan Winters (1999), Carl Reiner (2000), Whoopi Goldberg (2001), Bob Newhart (2002), Lily Tomlin (2003), Lorne Michaels (2004), Steve Martin (2005), Neil Simon (2006), Billy Crystal (2007), George Carlin (2008), Bill Cosby (2009), Tina Fey (2010), and Will Ferrell (2011). Reader, you may have noticed, or you will notice, that “Humor in America” now has a number of advertisements on the sidebar and at the end of certain posts. These ads are for Powell’s bookstore, an independent bookstore in Portland, OR. I chose Powell’s because of its ease of integration, its clear policies on advertising, and because I support independent bookstores, in general, and love Powell’s specifically. Some explanation: we do not get paid for these ads directly. 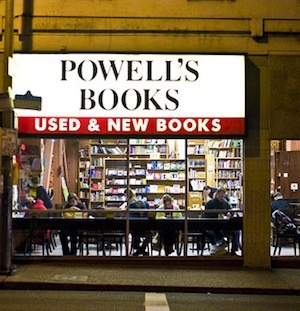 The website will earn a 7.5% commission on purchases our readers make through Powell’s after clicking through one of the ads. So, I encourage you to purchase books through the website to help support “Humor in America.” We may also be including a small number of other advertisements in non-intrusive places on the website. Contributors will have the choice of whether ads appear in their posts. 4) payment to the managing editor: this would be after other expenses, if the website develops beyond an academic endeavor into a part-time job; this decision and option is a few years down the road. I am not sure how much money will be made via advertising. For now, the goal is to cover expenses and see how the situation develops. I will be open about the financial aspect of the site. Please feel free to ask me questions via email.